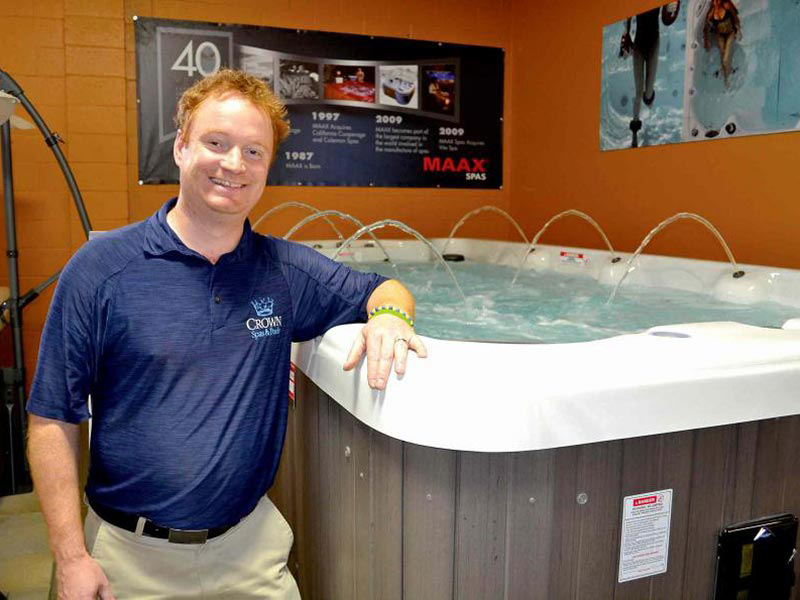 Originally founded in 1989, Crown Spas & Pools is one of Manitoba’s most experienced pool and spa companies and still the only custom hot tub builder in Winnipeg. We started with a humble 1500 square foot location displaying 5 hot tubs. With hard work and our unparalleled quality products and service, we have expanded to almost 20,000 square feet of combined showroom and warehouse space. Our showroom at 760 Century Street features over 20 hot tubs, two fully functioning swim spas, outdoor patio furniture, and the largest indoor display of Barkman Concrete products in Winnipeg. Crown Spas & Pools has evolved into a complete backyard paradise destination. We still operate with the same family values on which this company was founded. With over 100 years of combined industry experience, our friendly and knowledgeable staff will assist you to create the backyard retreat of your dreams—from start to finish.